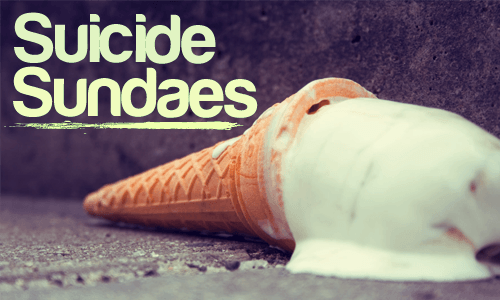 So every 2 weeks, you get a suicidal tendencies, which is unironically remedied by a sundae. This is one of such weeks & sundaes. Plenty of trash, plenty of aggro Macaulay Culkin blasting music for Norm from cheers… style of hatebreed. Ok – it's what you came here for. First up we have the latest from Earmilk's own Naeleck – you may recognize him from the Dancing Dead – Month 1 he did for us (which will soon find its way onto Tokyo radio and podcastable apps like iTunes wicked soon). This is the original mix of his title track entitled "Agaru" and it's haemophilic – won't step till it drops. do you know whose remix is this? I mean I know the song is rolling in the deep from Adele, but the remix?? gosh It's so good!! driving me crazy! It says in the description designer drugs. So my best guess would be designer drugs remix. And sounds like them too. X-ettl – Ngin and X-ettl – Jetgum are 2 different tracks from the same EP. Lol @ Gorillas On Drums – I’m Not Your Boyfriend (Please Don’t Touch Me) nice song though. gotta love chilli peppers bootleg!!!!!! 12 Inch Toys never disappoint. Great mix this week.